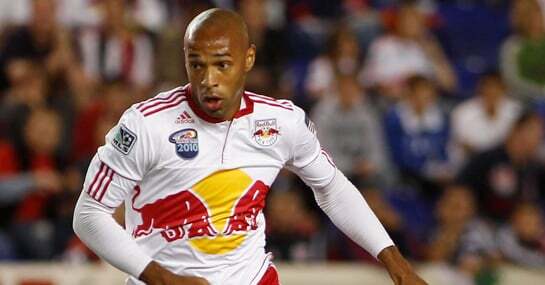 Leicester boss Sven-Goran Eriksson has made an incredible attempt to sign Thierry Henry on loan from New York Red Bulls. Eriksson is thought to have enquired about taking the former Arsenal and Barcelona striker on loan during the MLS off-season – whether Henry wants to join a side who are currently 33/1 in the Championship betting odds is another matter altogether. However, despite a dreadful start to the season that saw Paulo Sousa sacked after just three months in charge, Leicester are only six points off the play-off places and a good run could see them challenging at the top of the table. The arrival of Henry would certainly help, but Eriksson has already made one massive coup in the transfer window, signing Everton striker Yakubu on a season-long loan deal. The Foxes have a distinctly average attacking record this season. They are ranked 12th in the Championship overall – a record they will need to improve if they are to make a serious push for promotion. Leicester’s defence also leaves a lot to be desired – they are ranked 20th overall and have kept just two clean sheets in their previous 11 games. However, with Yakubu already scoring on his debut against Preston North End, backing Leicester to build on their current league position looks like a good bet. Leicester are 4/5 in the Championship odds to beat Millwall at home this weekend and look well worth a free bet. You can get a free bet worth £25 just by following this link. A £25 stake on Leicester to beat Millwall 2-1 would return £200. New customers can sign up here for a free £25 bet.